Once you opt to run a turbocharger, a lot of the external components need to be modified or replaced with compatible parts. Like most vehicles of the era, the stock air cleaner was a ring shape and fit inside a circular dish enclosure (see image). The stock enclosure was actually well designed as it was low profile and managed to acquire air from over a foot away due to the long snout. However, this style air cleaner won't work as it is replaced with the carburetor hat and air is drawn in from a different location. The new air supply is in front of the turbocharger, so that's where the air filter needs to go. 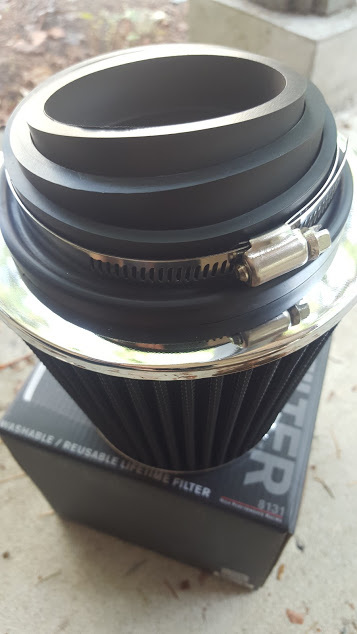 You can still purchase factory style enclosed air filters for use with turbochargers, but more cost effective open air filters are available and can be installed in almost any location or position. 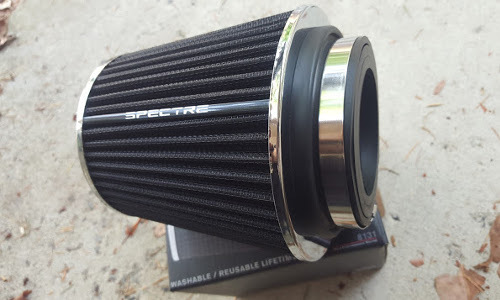 Turbo Camaro is using a black Spectre 8131 cone air filter. This filter includes 3 sets of mounting rings allowing use with a 3", 3.5" or 4" pipe or turbo inlet. The filter is approximately 6"x7" and washable for easy maintenance. Since the filter is relatively small and has even dimensions, it can be mounted directly in front of the turbocharger, or with some planning, closer to the grille or in a wheel well. 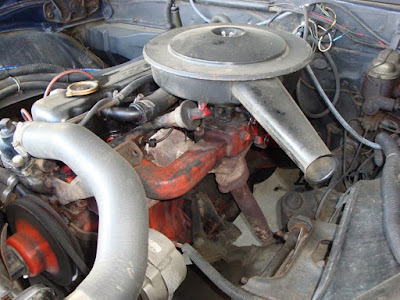 Realistically, you'd want it positioned ahead of the turbocharger, in an area with good air flow and away from a significant heat source like the turbocharger, exhaust manifold or engine block. Final install documentation and images will be posted here upon completion.